Twelve stations in West London are to be made step-free on the London Underground. These Crossrail stations in West London, will also become step-free. 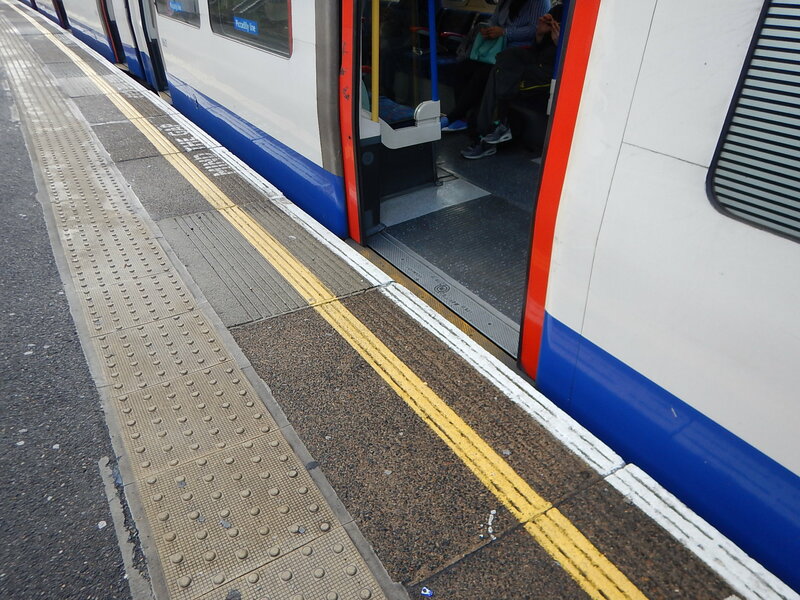 This gives a total of twenty stations, that will become fully step-free in West London. These pictures show the various London Underground stations. at the end of January 2018. No work has started yet! The station is unusual in that there are steep steps up to a bridge over the tracks, at both entrances to the station. Then there would need to be further lifts to the platforms. No work has started yet! Will the current bridge be replaced? Boston Manor, North Ealing, Osterley, Park Royal and Sudbury Hill stations were all District Line stations moved to the Piccadilly Line. This picture was taken at Osterley station. Could we see trains running on the Piccadilly Line, where the suspension jacks the train up as required? This may seem rather fantastical, but most modern trains run on airbags to give a smooth ride. 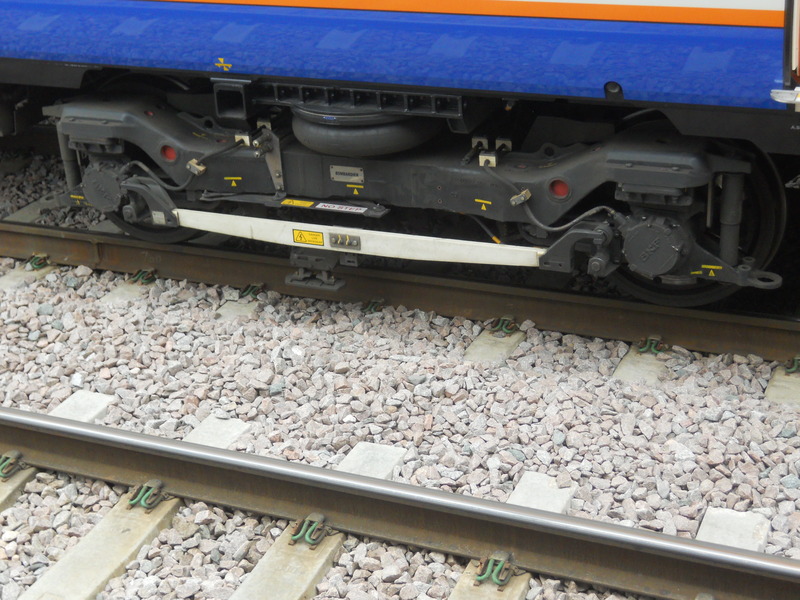 This picture shows the bogie under a Class 378 train. Note the air-bag! Pump it up and the train rides higher. This technique could be used to solve the problem of Piccadilly Line trains calling at platforms shared with Metropolitan Line trains. They are much more of a mixed bunch than those I wrote about in Eastern Central Line Stations To Be Made Step-Free. This probably due to the fact, that the Eastern stations were all build by the Great Eastern Railway at around the same time. These West London stations were built at various times, with some being built in the 1930s. Hanger Lane was built in 1947. Osterley was built in 1934 and is Grade II Listed. Sudbury Hill was built in 1931 to a design of Charles Holden and is Grade II Listed. Didn’t they have disabled people and prams in those days, just a few years before I was born? Some of the precipitous steps in this group of station are very dangerous. At least some of the other stations of this era like Bounds Green, Southgate and Word Green have escalators. What Are Transport for London’s Plans? Transport for London have stated that their aim is to eventually have all Underground stations with full step-free access. If you look at maps of West London, stations for Underground and National Rail are not that numerous and it is rare to find step-free access, unless a satation has been built in the last couple of decades. So perhaps, TfL are improving the balance. The key point is that all of these stations are “surface” stations so fitting lifts and/or ramps is generally not too complex a task. The deep-level tube stations are a much more complex problem and in some cases probably unfeasible. Deep-level stations may be getting easier, as 3D design software is improving. Tunbeling techniques are getting bette.